Twenty million tourists a year can’t be wrong. Budapest is a fantastically atmospheric city. It’s also cheap, hip and it’s got culture by the bucket load; it’s also easy and quick to get there from just about anywhere in Europe. Other plus points? It boasts fantastic restaurants; it still hasn’t been absorbed into the Euro (good news for UK and US visitors) and it offers tremendous shopping as well as almost unlimited pavement cafés to while away the time. Café society still exists here and the preparation of a good cappuccino is a serious endeavour. Budapest is also home to a fantastic opera house and it’s a doddle to get around thanks to its toy-train-sized subway network. If that’s not enough, it has more than 10 spas and Turkish baths for newcomers to soak up the stress of getting around a new place. Budapest is effectively split into two halves by the River Danube. 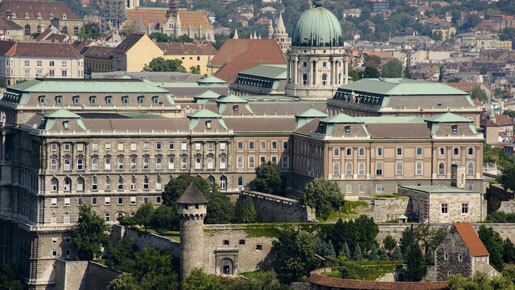 The Buda part is where much of Budapest’s old history lies, dominated by its sprawling Palace complex. Buda’s old town is also home to wealthy Hungarians with many villas dotted around its steep winding lanes, many with spectacular views across the city. Across the river lies the Pest district. This is where the real commercial and retail heart of the city lies. Truth be told, Pest is also the more interesting, vibrant part of this city for most visitors. Buda, once you’ve taken in its historical sites, is more staid. Both have very different atmospheres but both deserve at least a day to wander around. As mentioned, Budapest’s dinky metro takes you cheaply and quickly to most parts of the city. It’s also very easy to understand having just three lines (red, blue and yellow). If you’re walking, be aware that there are 23 districts to the city, numbered clockwise in widening circles, very similar to Paris’ arrondisments making it hard to get lost. The closer you are to the centre, the lower the number.